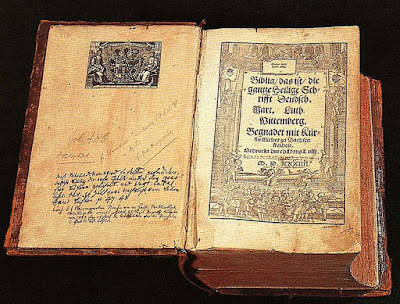 Luther’s Bible (1534). Image courtesy of Torsten Schleese. The Bible is not an ordinary book. It is not a random collection of old tales written by poorly-educated nomads who knew much less about the world than we do. Just think about it. While the Bible was written by humans, God guided the thoughts and perhaps even the words of the authors, keeping the message pure. That is why we can trust it. Whatever it says is true.